KOSMOS turning services are capable of turning parts measuring up to 15 inches in length, meeting ultra-tight tolerances of ± 0.001”. Our Specialty CNC turning machinery to possessing the most innovative technology for the production of TAIWAN high-quality. Production possibilities range from simple to high complex turning parts, which are produced on the respectively matching machine. Low as well as high volume production from all common materials like brass, copper, aluminium, alloy steel, titanium and several plastics. The turning range is from 2 – 42 mm. Mechanical post-processing is possible just like galvanic surface refinement. 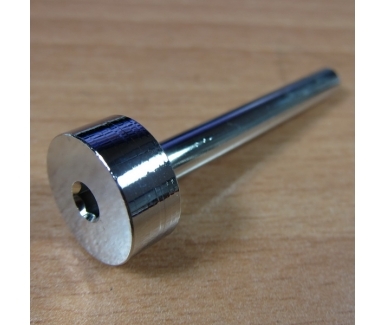 KOSMOS Machine Works provides OEM CNC turning services to meet our customer's exact specifications. 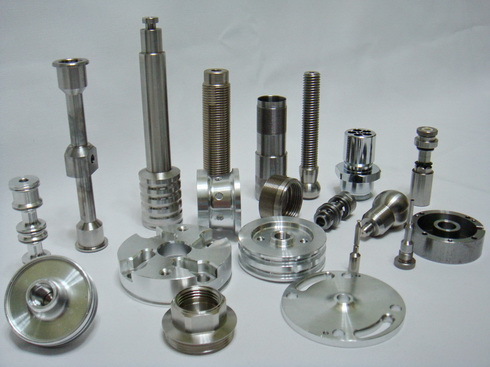 We offer extensive CNC Turning capabilities; to create axi-symmetric, rotational parts with many features like threads, steps, chamfers, holes, grooves, tapers, varied diameters, and contours. As shown in Figure Bushings, pins and pulleys are some of the sample products that we offer.